During 2013 the number of articles published in the United States and Canada doubled, while the number of impressions tripled and the return on investment quadrupled as compared to 2012. The public relations office of the Riviera Nayarit Convention and Visitors Bureau (CVB) has worked hard to promote and position the destination and its sister brands from Nayarit, and its work continues to pay off with a very impressive increase in presence in the United States and Canada during 2013 over that of 2012. 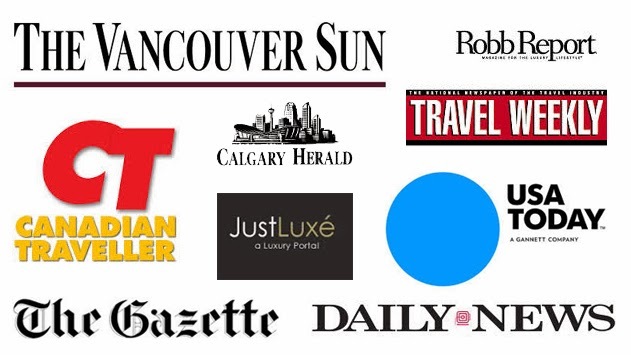 Their efforts resulted in several press FAM trips, interviews, presentations on TV and radio shows, social media, and inclusions in periodicals both online and off, as well as in consumer and travel industry publications. The office also used the services of PRNewswire to extend the reach of its press releases to more readers in North America. The amount of articles published in 2013 by the different media mentioned numbered 498, almost doubling the 270 published during 2012. The number of impressions tripled, increasing from 373,375,751 in 2012 to 990,148,281 unique impressions in 2013. The return on investment during this past year was equally impressive, literally quadrupling the USD $12,506,004 obtained in 2012 to USD $54,857,901. If we consider the return obtained during 2013 to be at 100%, the investment then represents no more than 1% of the total. The distinctive feature of the FAM trips with the press is the added value that comes when the writers experience the destination for themselves. The journalists can then editorialize, which is much more valuable than any advertisement. This is the case with freelance writer Irene Thomas, www.irenethomas.com, winner of the 2004 Silver Quill awarded by the Mexico Tourism Board and one of the guests of honor of the Tourism Tianguis. Irene has visited the Riviera Nayarit on four occasions and the article that resulted from her last visit was published on five separate occasions, two in the United States and three in very important media in Canada. In this manner, the Riviera Nayarit CVB ascertains the public relations activities it has put forth have had very tangible results that serve to restore and reinforce the destination’s natural markets.